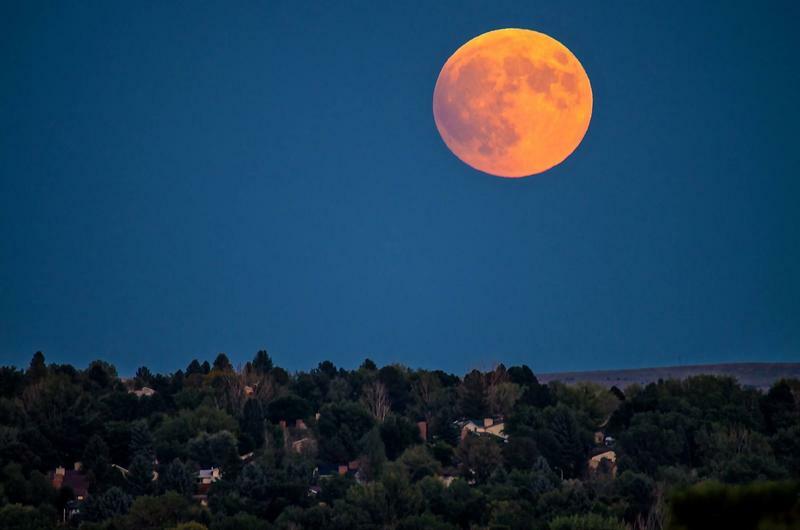 Each week Hal Bidlack from the Colorado Springs Astronomical Society alerts Southern Colorado listeners to what to watch for in our night skies. This work has been released into the public domain by its author, Kryptid at the English Wikipedia project. 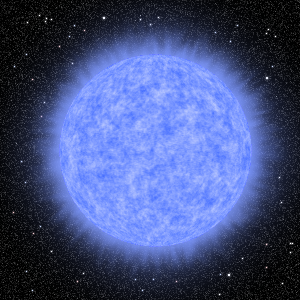 Have you seen Naos, the runaway star? This week on Looking Up Hal pinpoints it in the night sky for us. There is an interesting and odd star visible in the Southern Colorado sky right now that is worth a look, the strange and lovely star Naos, at just under 1000 ly from Earth. 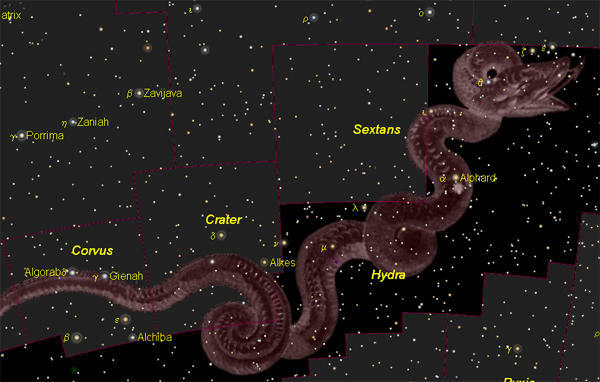 Bruce Bookout delivers this month's archeoastronomy lesson on the Hyades Cluster. There are two 'sister' star clusters in the constellation Taurus the Bull. This week on Looking Up Bruce Bookout introduces us to the five daughters of Atlas... the Hyades. Over the last few years we have discussed the beautiful winter asterism known as the Pleiades. These fair maidens of the night are an easily found object high above in the constellation Taurus the Bull. What most observers overlook are the other sisters that form a ‘V’ shape that marks the head of the celestial bull. This week on Looking Up... meet Alphard, a giant orange sun that seems to have lost its partner but gained a lot of barium in the process. In earlier episodes, we’ve talked about the bright stars that make up the winter night sky here in southern Colorado. We’ve talked about the very bright Sirius, and the only slightly less bright Procyon, Castor, Pollux, and so on. 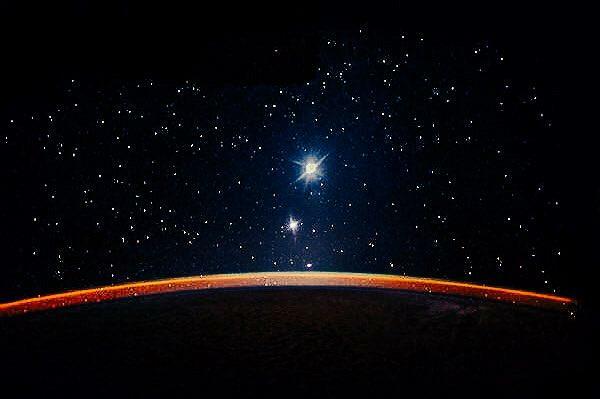 Today, I want to tell you about a very interesting star that is a bit farther to the east, forming a triangle, laying on its side, with Sirius and Procyon, the weird orange star Alphard. Hal speaks of comets, near and far. I admit it; I’m a sucker for comets. I can’t help but wax a tad philosophic when I think of these remarkable and ancient objects. 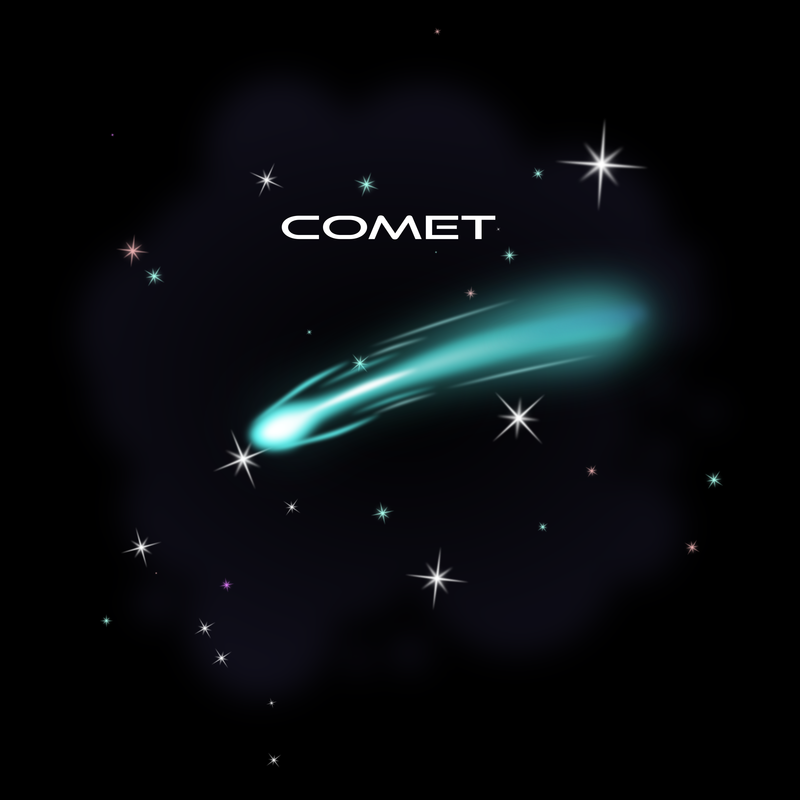 There are famous comets that come back regularly – think Halley’s Comet – and there are others, like the very bright Comet West back in 1976, that have much larger orbits, over 70,000 times the Earth-Sun distance, and so won’t return for about 500 million years, give or take. This week Hal dusts off a topic we covered previously on Looking Up but is now in need of an update. A couple years ago I told you about a cool thing you can see in the Southern Colorado sky, Zodiacal Light! And the good news is, it’s back. Hal lets us know about the upcoming lunar eclipse. This week on Looking Up Hal prepares us for the impending total lunar eclipse. 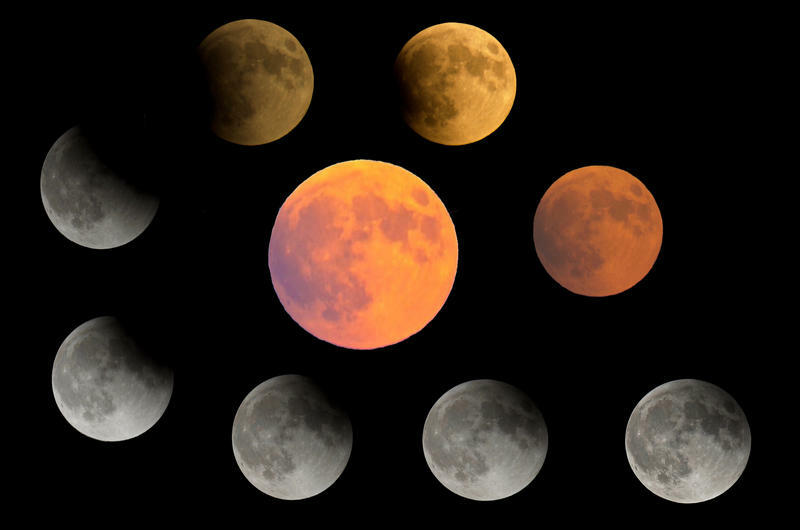 Set your alarms early for Wednesday, January 31st, because it will be your only chance in 2018, and your first in two years, to see a total lunar eclipse! And we in the West have the best look at it, as the Moon sets for folks east of the Mississippi before the show really gets going. Bruce Bookout explains the cultural significance of the Bighorn Medicine Wheel in relation to astronomy. This week on Looking Up guest host Bruce Bookout gets around to talking about Medicine Wheels and how they relate to ancient astronomy. Nearly every ancient civilization has studied the night sky, whether it was for navigation, measuring time, or spiritual purposes. The Plains Indians of the West were no exception. 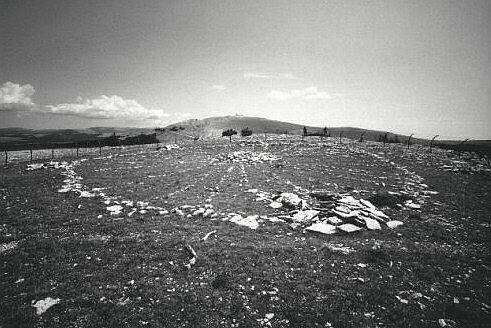 Dotting the high hills of the northern plains are hundreds of Native American stone constructions, called medicine wheels that are aligned to the stars. Hal has a news flash about a certain star. This week on Looking Up Hal points out a lesser known star near the constellation Orion that appears to want our attention. We’re just two weeks into the New Year, and already I’m going to curse, sort of, on the radio. 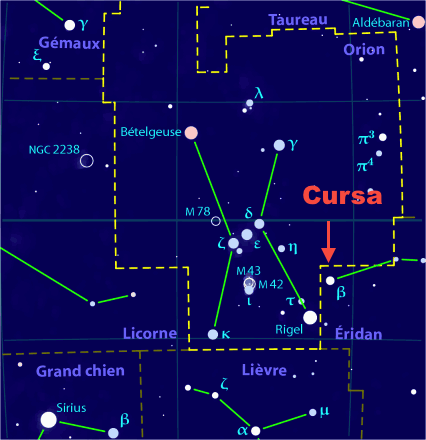 That’s because today I want to talk to you about the very interesting star, Cursa, high in the Colorado sky right now. Hal identifies some objects in our early morning sky. Wondering what some of those bright and colorful objects rising in the eastern pre dawn sky are? This week on Looking Up Hal identifies some of those mysterious spheres. I warned you last week that you’ll need to get up early to see most of the stuff I’m talking about in January, and this episode is no exception. But, if you do get up early, you’ll get to see something really cool, and I mean that literally. Happy New Year from Hal, the rest of the CSAS, and all the staff at 91.5 KRCC! Happy New Year! This week on Looking Up you can get an early start on scanning the 2018 skies. Inconspicuous Mercury is in the pre dawn sky, and a full blown moon dominates tonight. As you listen to the upcoming January episodes of Looking Up, you may find a common theme – stuff to look at in the early morning. Sometimes things just line up that way. Looking Up: We Got You A Flame Retardant Christmas Tree Nebula! Merry Christmas everyone, and in keeping with the holiday spirit let’s talk about the Christmas tree you can find in the Colorado night sky right now, the Christmas Tree Nebula! Looking Up: Wasat An Innie Or An Outie? This week on Looking Up Hal answers the question that everyone tends to ask at some point in their life - "what's that?" 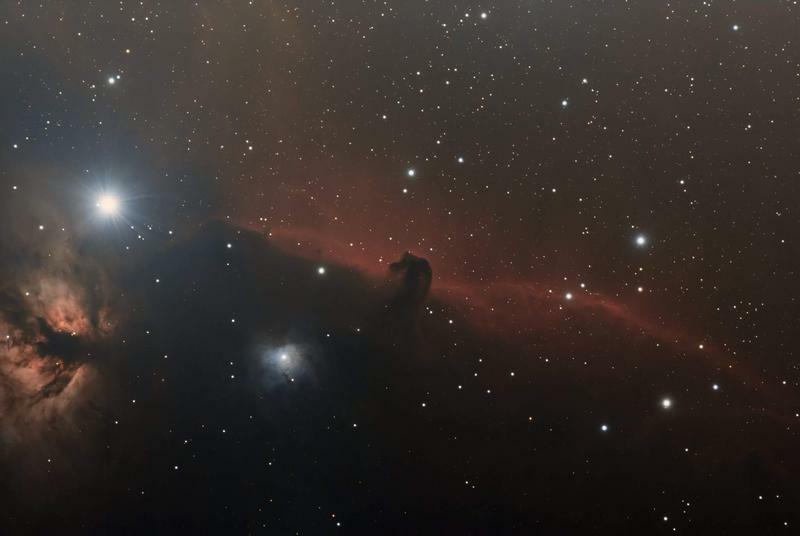 Our astronomy club does a large number of public star parties over the course of the year, and it is very common for a person at one of our events to point to a star in the sky and ask, “what’s that?” Well, this week, I’m going to tell you about a star that is a great answer for the question “what’s that?' - the star Wasat. 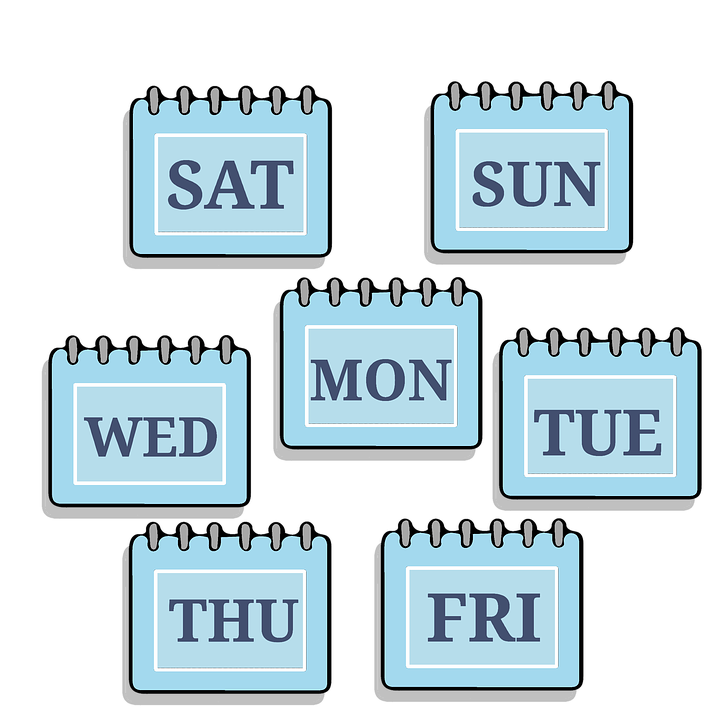 Bruce Bookout breaks down the week for us. This week on Looking Up guest host Bruce Bookout continues our archeo-astronomy lesson on time keeping. Our calendar has direct ties to astronomy with our count of days as we revolve around the Sun and our count of moonths as the moon goes around the Earth. The remaining count you might say has a weak relationship to astronomy. 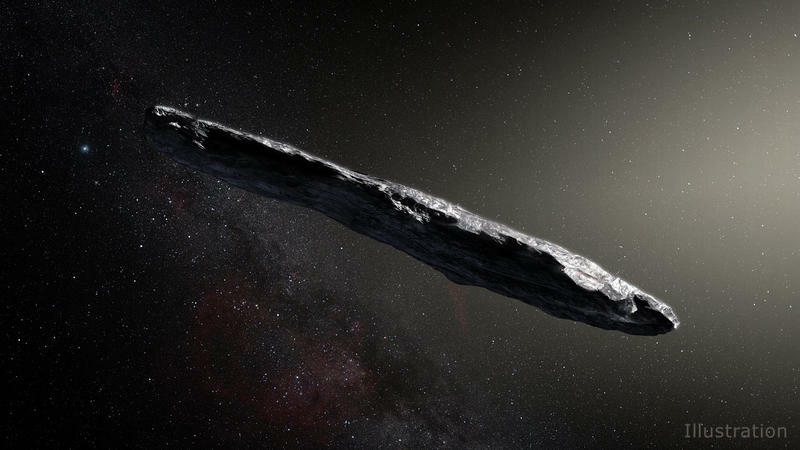 Hal provides intel on the first ever interstellar visitor. This week on Looking Up we officially welcome 1I/2017, affectionately known as "Oumuamua". To our knowledge, it's the first ever interstellar visitor to our solar system. Did you happen to feel the entirety of the human experience tick up just a bit in the last few weeks? No? Then you likely have not heard about an object in the Colorado sky right now. You can’t see it, it’s too small, but astronomers have spotted something never before seen in human history – a visitor from another star. Just like Hal, the current morning 'stars' long to be close to you. This week on Looking Up Hal gives us a good reason to get out of bed early on these cold autumn mornings. Today’s edition of Looking Up is for those folks who are up and at them before dawn. 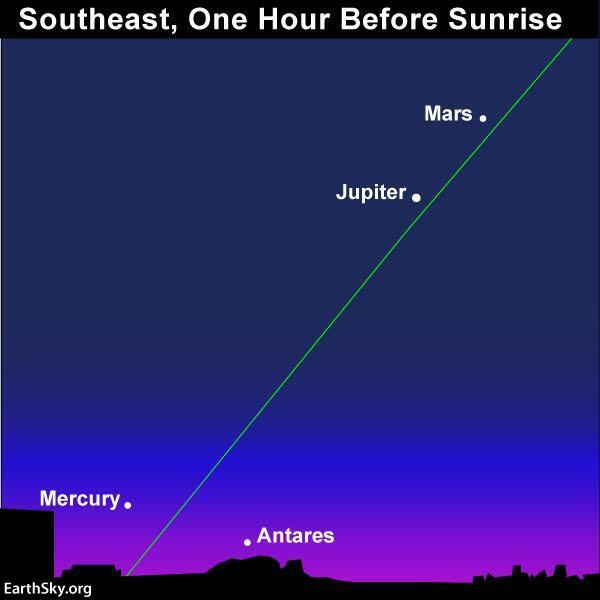 The rest of you can take a break, or you can get up early one day to see an early morning celestial show with the two brightest planets in our Colorado sky, Jupiter and Venus. 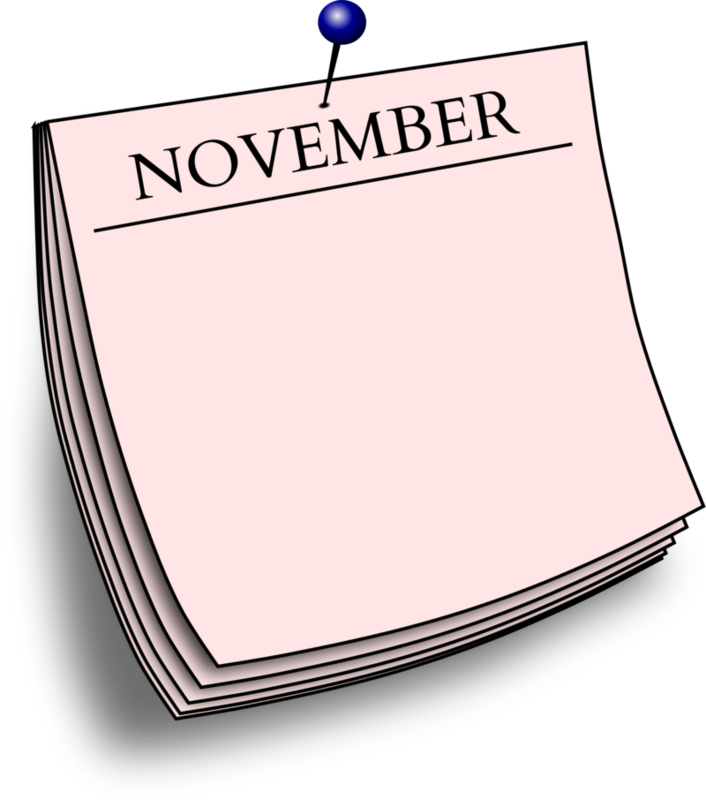 Do you remember that November when 'the stars stole the night away'? Guest host Bruce Bookout does! This month's archeo-astronomy lesson takes on a Novemberish tone with guest host Bruce Bookout. We mark a calendar to help us track our revolution around the sun. Over the centuries we found breaking the year up into smaller portions was useful. Calendars are funny things in that keeping them and naming their parts lends to strange things. Hal takes note of Stephan's Quintet. This week a quintet of galaxies takes center stage on Looking Up. What would you say if I told you there was a beautiful quintet available to you, right now? Would you reach for your headphones? 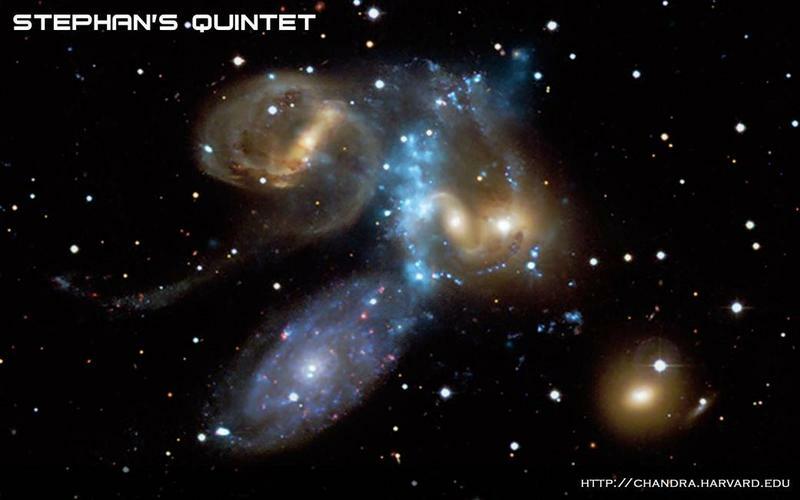 Well, in this case, it’s not a lovely musical interlude, but rather an amazing and beautiful grouping of galaxies high in the Colorado night sky, called Stephan’s Quintet. 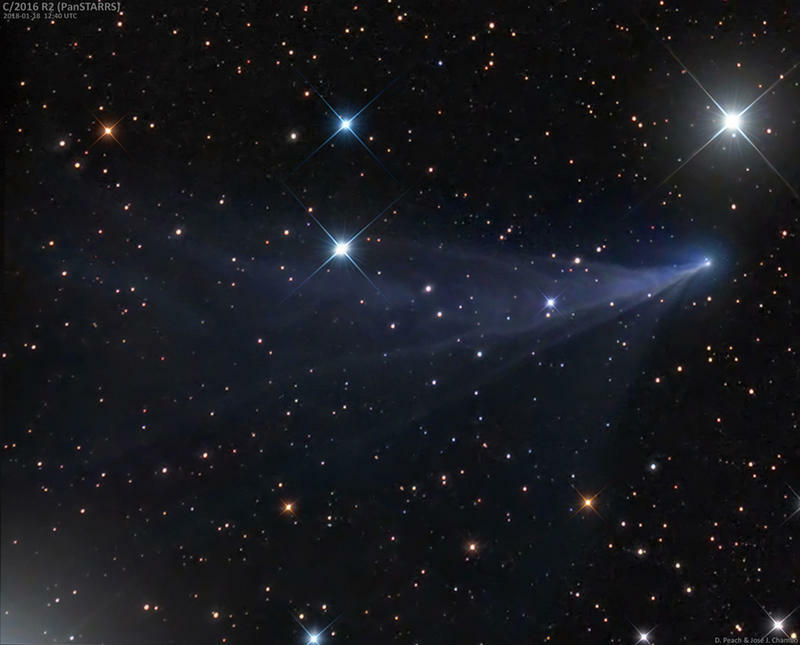 This week on Looking Up we hear the strange tale of a comet with a killer name - ASSASN 1. Every now and then, we are graced by a visit from a comet from deep space, and right now, we have one of those visitors in the inner-solar system right now. This week on Looking Up Hal has a Halloween themed story in mind. Well, it’s almost Halloween – a night for strange and spooky stuff and maybe a good ghost story. So how about I tell you the tale of the strange and ghostly star, Mira? Bruce Bookout solemnly spiels on Saturn. This week on Looking Up Bruce Bookout gives us a brief archeoastronomy lesson on the planet Saturn. As summer wanes, one of the most beautiful planets in the heavens will be leaving our skies for the far side of the solar system. 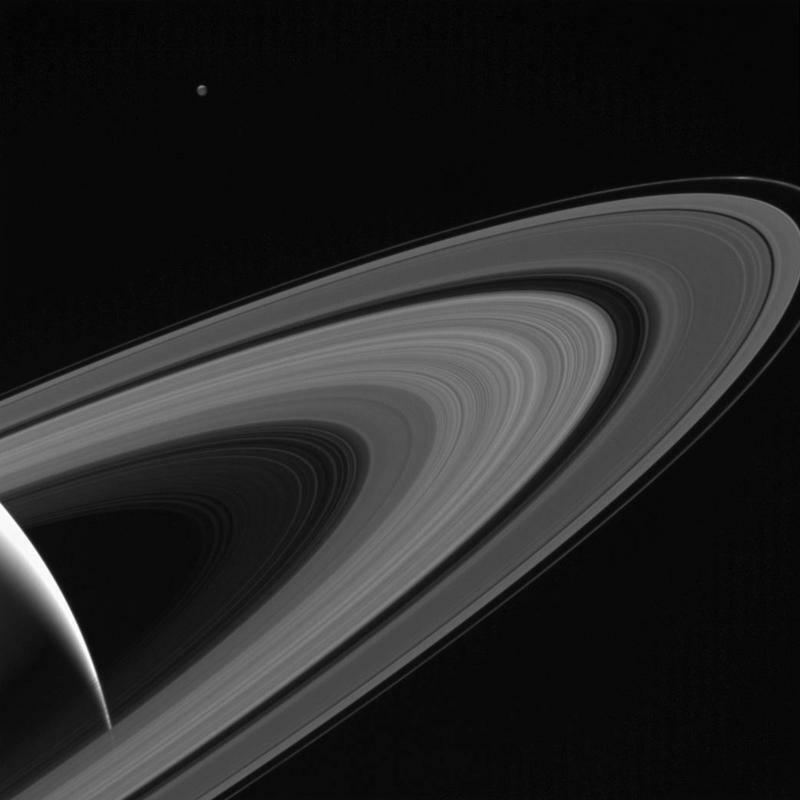 As Saturn moves behind the sun for the next several months, let’s “ring” around some of Saturn’s legends. 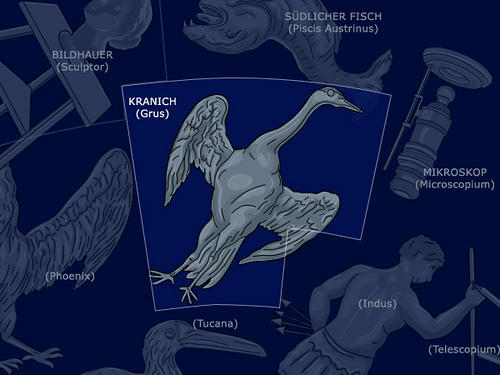 This week on Looking Up we learn a little bit about Grus the Crane, a relatively 'new' constellation. When you think of the elegant bird known as the Crane, you likely think of grace and bright feathers. But when you look at the constellation of the Crane, visible low in the South in Colorado skies right now, you might be in for a surprise. Hal investigates the 'gravity' of a stellar crime. This week on Looking Up we're back in the Constellation Capricornus, this time to hear about M 30, a globular cluster, and what makes it so special. Have you ever felt like things were getting crowded? 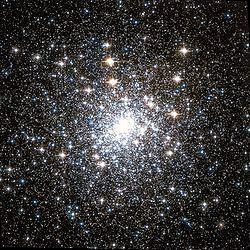 If so, you may have something in common with the remarkable globular cluster, known as Messier object number 30, high in the southern Colorado sky right now. Hal tells the tale of Scheddi. This week on Looking Up Hal tells the tale of Scheddie, a dying star in the constellation Capricornus. Some people are known by a single name, like Cher, just as some stars are known by a single name, like Polaris or Betelgeuse. But most of us have more than one name, and there is a star in the Southern Colorado sky right now with at least three names. Hal informs us of the whereabouts of Voyager 1, and takes the opportunity to mention one of his favorite constellations - Ophiuchus. 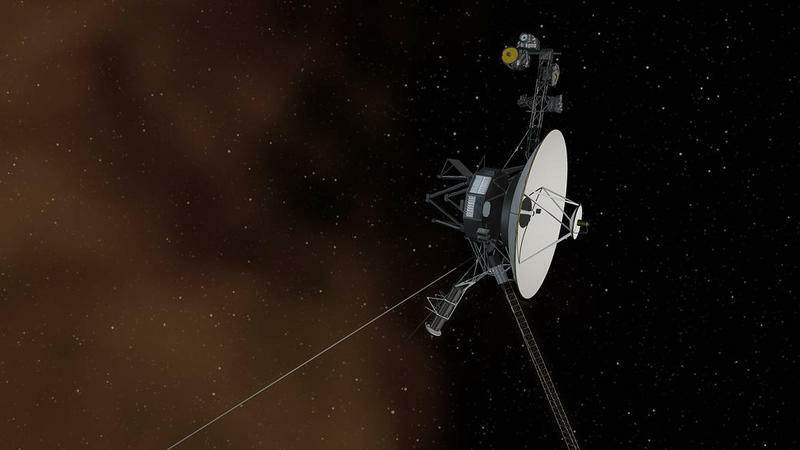 This week on Looking Up we learn the whereabouts of Voyager 1. 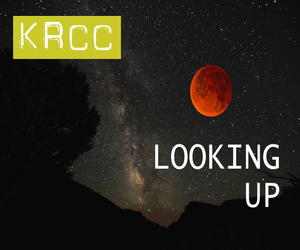 Over the past 140 or so episodes of Looking Up, we’ve talked about all kinds of astronomical items up in the sky. Today, let’s talk about something that is far out, but is also man-made, our first interstellar spacecraft, Voyager 1. Hal remarks on the remarkable Barnard's Galaxy. This week on Looking Up Hal introduces us to one of our galactic neighbors - Barnards' Galaxy. Do you live in a small town that is seeing lots of new things being built all the time? 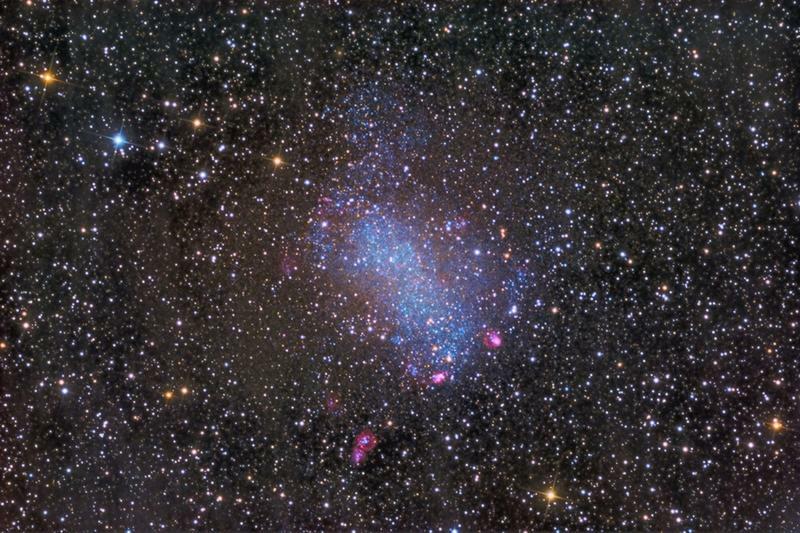 If so, you have a lot in common with a tiny galaxy that is our neighbor in space, the remarkable Barnard’s Galaxy. This week on Looking Up Hal guides us towards the very center of the Milky Way Galaxy. 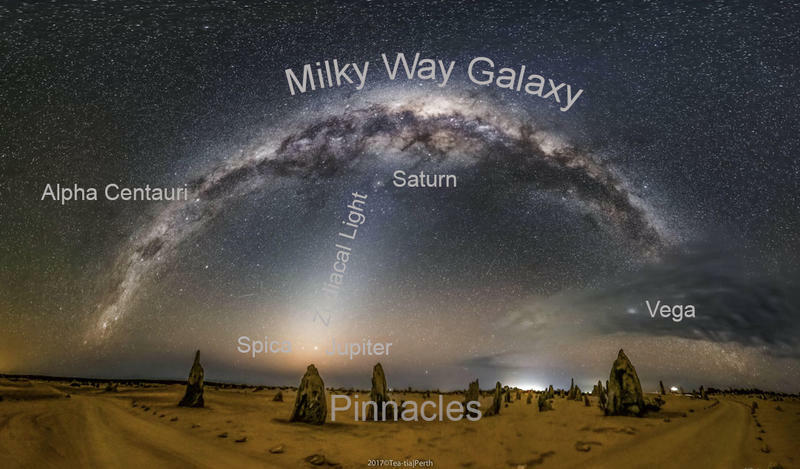 When you look at the constellation Sagittarius, now visible in the Southern Colorado sky, you are looking toward the actual center of our spinning pinwheel of a galaxy, the Milky Way. And the Milky Way is big, with at least 200 billion stars, and it is dirty – in that there are vast clouds of dust and gas that block our view inward toward the center, or core, of our galaxy. 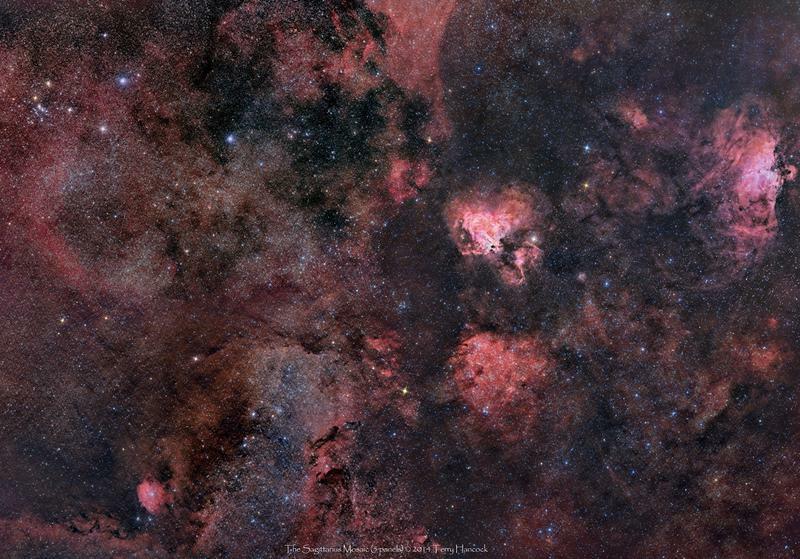 Hal talks about an open cluster of stars located in the Scorpion's tail. This week on Looking Up Hal directs our attention to an open cluster of stars located in the tail of the Scorpion. 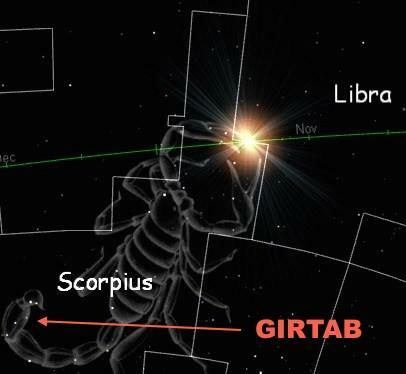 We’ve talked before about the constellation Scorpio, and how, unlike so many other constellations, it actually looks like its name – a scorpion. 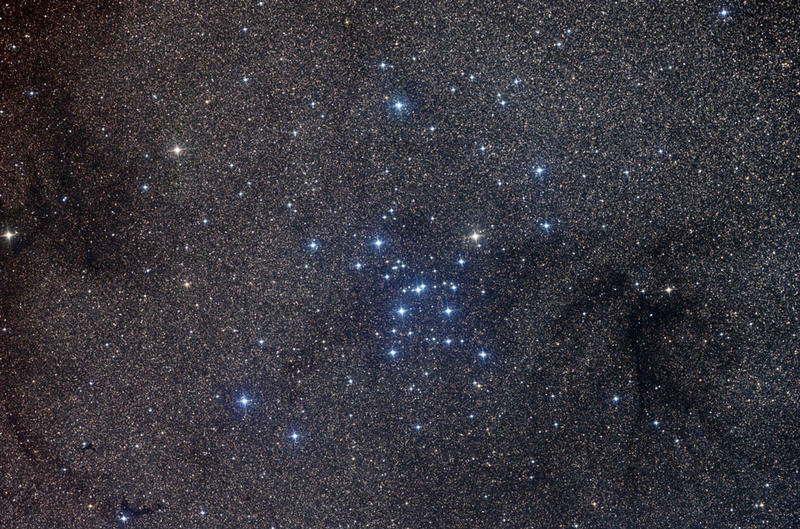 High in the southern Colorado sky right now, the scorpion has a beautiful straggler following behind the stars that make up the stinger – the gorgeous bunch of stars known as Ptolemy’s Cluster. Looking Up: Hey Neighbor, Mind If I Borrow A Cup Of Hydrogen? 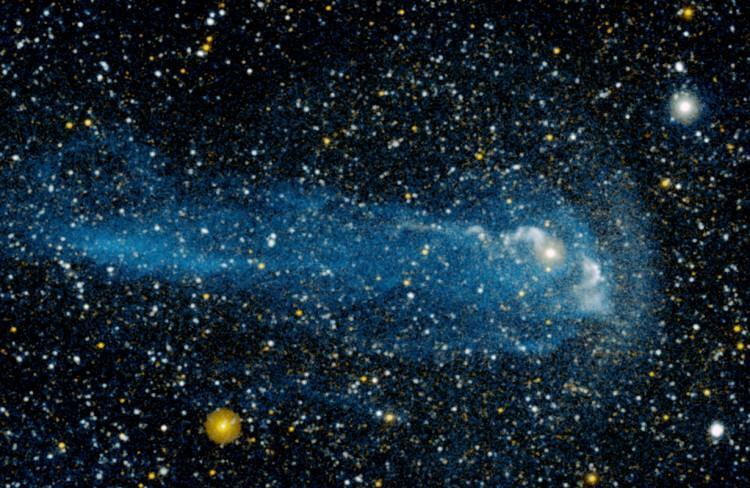 This week on Looking Up Hal tells the tale of a star in the tail of Scorpio. Hopefully, you’ve never had to deal with a really bad neighbor. But if you are part of the double star system Kappa Scorpii, better known as Girtab, you just might be in for the worst kind of bad neighbor, the exploding kind. Hal can barely contain his excitement as today is the day for the total solar eclipse! And it's definitely not 'the same old thing as yesterday'. Today is the day that many folks throughout the Continental U.S. will have an opportunity to witness a once in a lifetime total solar eclipse! This is an exciting morning, astronomically speaking, in Colorado Springs! If you are listening to the first airing of Looking Up, at 9 am, pay close attention to what will be happening very soon. 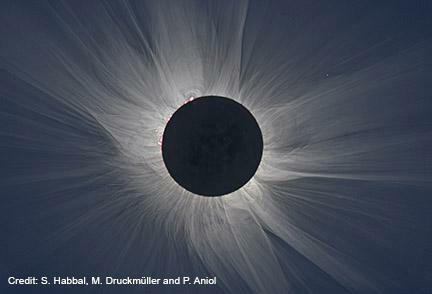 If you are listening to a rerun, hope you enjoyed the eclipse! 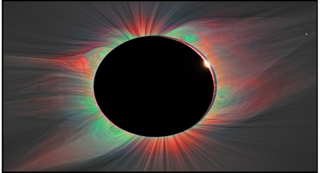 In this Looking Up Extra Edition, Mike Procell interviews Hal Bidlack in anticipation of the total solar eclipse coming up August 21, 2017. There's also some additional information on events related to the solar eclipse that are happening in the Colorado Springs area that day.